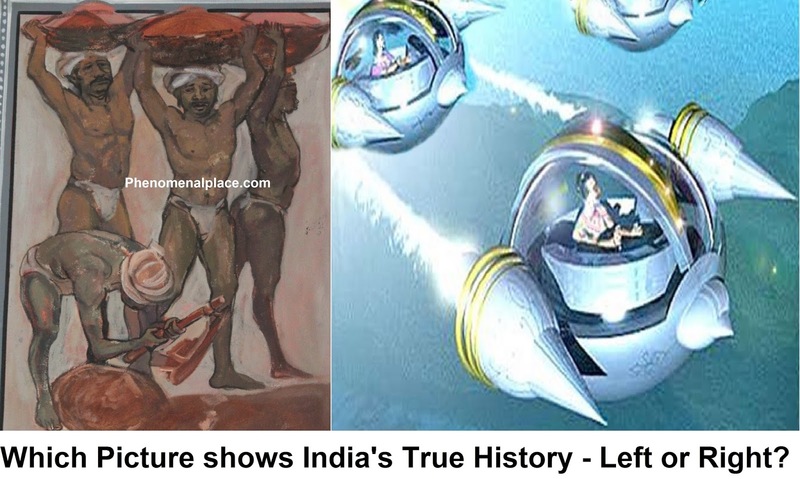 Ancient Technology of India - The Iron Pillar that Never Rusts? The ancient iron pillar of Indiahas many baffling features which have not been explained till date. One of the strangest features is that it has not rusted for more than a thousand years, although we can see some rusting in the recent years. Archeologists confirm that this was created at least 1600 years ago, but it could be much older than that. An iron pillar made such a long time ago should have rusted and completely disintegrated. How was such a pillar made, 1600 years ago, at a time when Historians claim there was no advanced technology? Watch the video below or read on. In 2002, scientists studied the iron pillar and realized that it has a strange way of reacting to the atmosphere. Normally, Iron reacts with moisture in the atmosphere or rain and produces Iron oxide, which is called Rust (Fe2O3). This rust is very powerful, it will deteriorate the iron, and eventually destroy the entire structure. For example, if you look at this Nandu bridge in China which is less than 80 years old, it has been completely taken over by rust, making the bridge unusable. But the iron pillar does something very strange. When it comes in contact with moisture or rain, it produces a strange material called Misawite, which has not been seen anywhere before. This material actually forms a protective coating over the iron pillar and shields it from damage, and also increases its magnetic property. Now, why does the iron pillar create Misawite instead of Rust or Iron Oxide? What makes this Iron pillar produce such a strange compound that is not seen anywhere else? The iron pillar is actually made of 98% Iron, 1% Phosphorous and the remaining 1% is made of an ancient concoction called Vajra-sanghata. This concoction is clearly explained in ancient Indian texts. The Vajra-sanghata is created by mixing 8 parts of lead, 2 parts of bell metal and 2 parts of calx of brass. So, if you look at the total composition of the iron pillar, it is made of a complex alloy, created in ancient times. 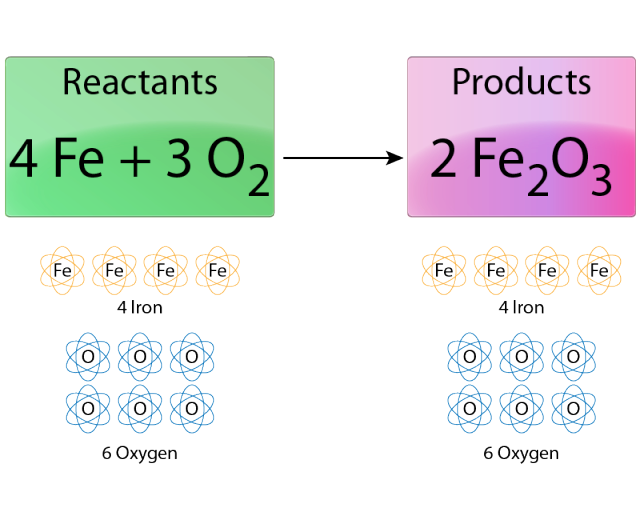 Instead of rusting which is Iron Oxide, the phosphorous and Vajra-sanghata make water vapor which is H2O, to convert into Misawite, a compound of Iron, Oxygen and Hydrogen. This layer actually protects the pillar from rusting. So, the pillar would accumulate this protective coating over the course of many centuries, making it even more stronger.Now remember I showed you Surang Tila, the temple that withstood a massive earthquake. The stones of this temple were also bound by ancient binding materials, making it last forever. So, you can see that the ancient Indian technology was really advanced in creating structures that stand the test of time. The other intriguing question is this: Who created this pillar? Now, there is an ancient inscription in Sanskrit on this pillar, which only hints at who could have created this structure. The inscription refers to a King called Chandra and mentions that his empire basically extended beyond all the borders of today's India. It also explicitly mentions that his empire covered the southern ocean of India, which refers to the Indian Ocean. 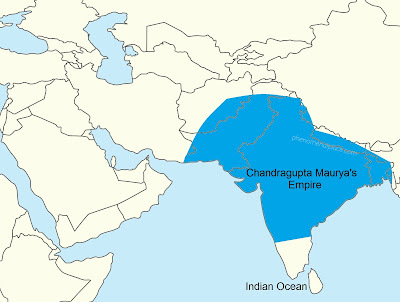 All experts think this refers to the King Chandragupta Maurya who lived around 300 B.C. The problem is, that even the most exaggerated versions agree that Chandragupta never reached the Indian ocean, his empire did not touch the southern tip of India. But experts don't know of any other King with the name of Chandra who ruled the entire Indian subcontinent. But there is another King described in ancient texts who is not being considered. He is none other than Rama, the hero of the Indian epic Ramayana. 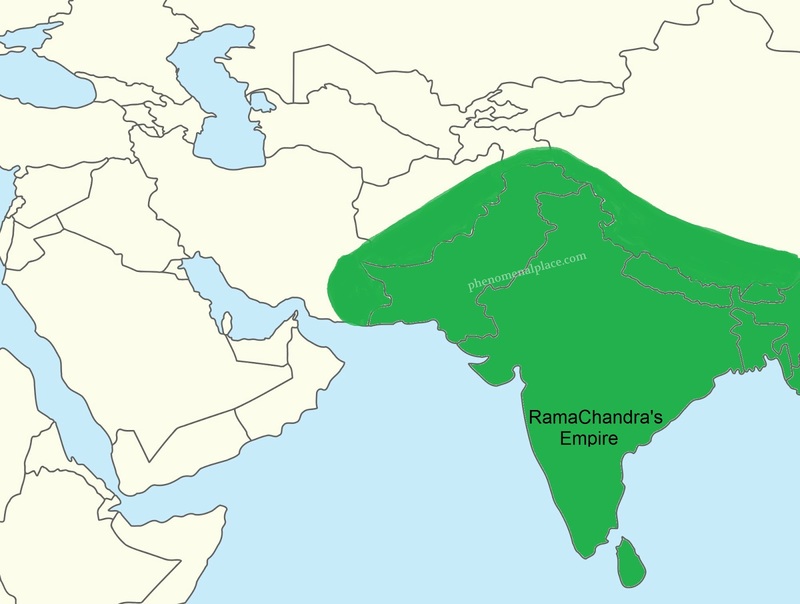 Rama was explicitly mentioned with the suffix Chandra in ancient texts and referred to as Rama'Chandra'. Rama did cross the Indian Ocean in the southernmost point to defeat the King of Srilanka. But there is another startling evidence in the inscription. All experts agree that what you see below is the most accurate, literal translation of the Sanskrit inscription. "He, as if wearied, has abandoned this world, and resorted in actual form to the other world – a place won by the merit of his deeds – (and although) he has departed, he remains on earth through (the memory of his) fame (kīrti)." This inscription clearly mentions that the King who installed the iron pillar, left to another world in actual form, which means he left physically to another world. These words are completely ignored by modern day historians, because they argue that all ancient civilizations were primitive, and could not posses advanced technology like spacecraft. 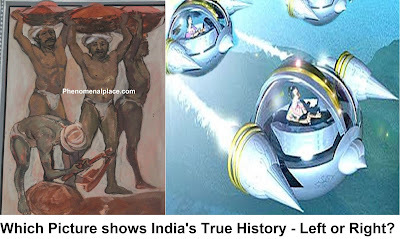 But all Hindu texts repeatedly state that the Gods came down from the sky, and used advanced flying machines like Vimanas. The ancient text of Padma Purana explicitly says that Rama left the earth and reached another planet called Vishnulokha. Now, even though all evidences point in this direction, why don't historians consider Rama as the person who installed this pillar? Because according to historians, Rama is not a historical figure, he is a fictional character mentioned in mythology and not in history. If you look at the history of Indian history, today's history books formally began during the British occupation, and they blanketly claim that any king who existed in India before 600 B.C, were merely mythical figures. This is the reason why figures like Rama and Krishna do not appear in History books, even though these ancient texts are called Itihasa which literally means History. Of course, in History Channel I have repeatedly stated that ancient Hindu texts show the real history of India. 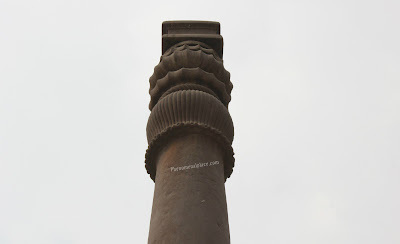 The fact that this pillar is still standing is enough evidence, that ancient India had a very advanced technology. We have looked at many questions about the Iron pillar like how was it built, who could have built it and so on. But the main question is this: Why was the Iron Pillar built and placed in this location? What is the reason for constructing it with such complicated materials? Archeologists claim it is just a decorative flag post - This is total nonsense. In my videos I have shown you how every ancient Indian structure was created for a specific reason - the wheels in temples were created to show time, even the smallest carvings served a purpose. So the real question is, why was the Iron pillar made in such a fashion, that it won't rust, like all modern electrical equipment? Today, all electrical components are specifically manufactured to be non-corrosive, but why was such a structure needed in ancient times? 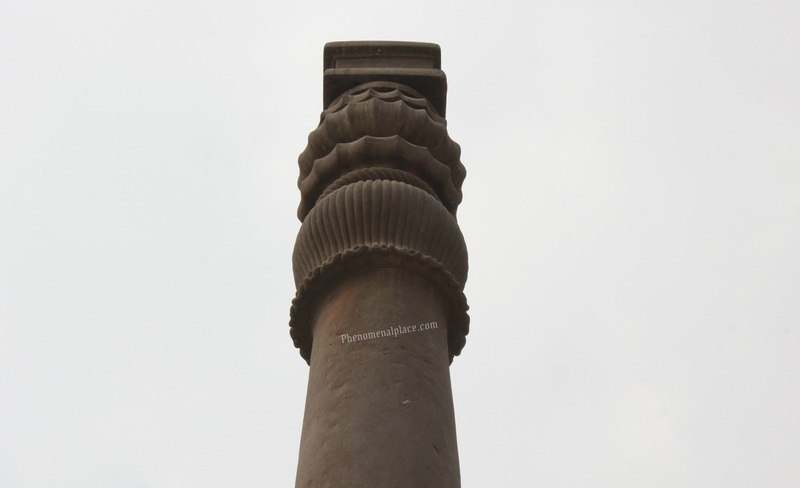 And most importantly how is it connected to the huge tower nearby known as Qutb Minar? 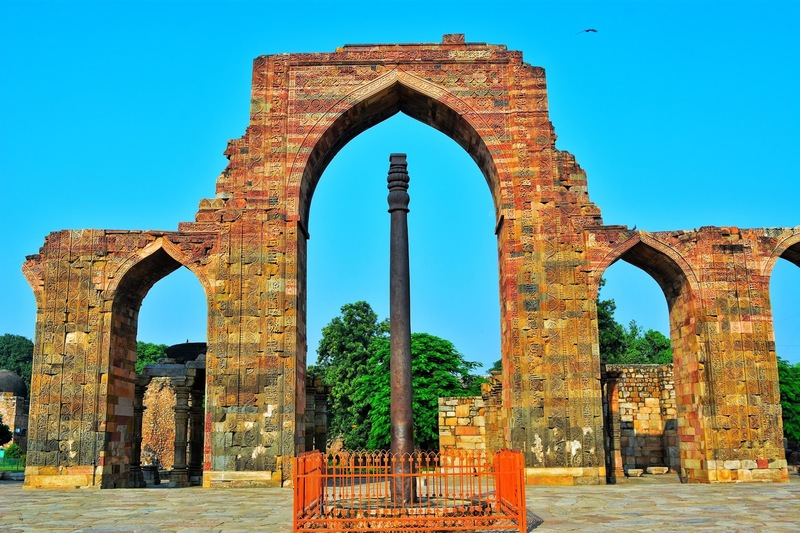 Do you know that, if you exclude the height of modern day railings on the Qutb Minar, the Qutb Minar was built exactly 10 times taller than the Iron Pillar. The height of the Iron Pillar is 7.21 meters and the height of the Qutb Minar is 72.1 meters. Is this a coincidence that they were built to a 1:10 ratio? To understand the mystery, we have to examine ancient Indian texts to see if they used electricity. I hope you liked this post, and I appreciate your comments. Yourobservations are very convinsing.keep it up. I think slowly people will realize that we need to rewrite the indian history. We must bring to light the truth about india's glorious past... and World's attempt to malign and shadow our glory. Just Like Akbar or say Jahangir who married a Hindu and constructed an entire section of his Fortress (Agra Fort) in ancient Indian designs, could it be just the same with the the Qutab Minar (even considering there existed temples in the vicinity)? Also whats the thing about ancient India and Electricity? You are doing a great job here!! Keep it up.. God bless you. Thanks for these, as someone already said these videos are addictive. I am still looking for an answer for the reason behind the hight ration of qutub minar & the iron pillar - could you please explain? Finally some one is expressing genuine and unbiased interest in Indian history. Currently people are bending over backwards to mug up theorems and essays by Western 'educationists', who spent close to 2000+ years in total ignorance and even thought the world as flat! If we as a collective force start relearning Sanskrit and enlightem purselves, maybe then maybe, in 100 years we will shed this ignorance and revert to a glorious past. Good work Mohan. May your ilk grow. Why spread a false link? !